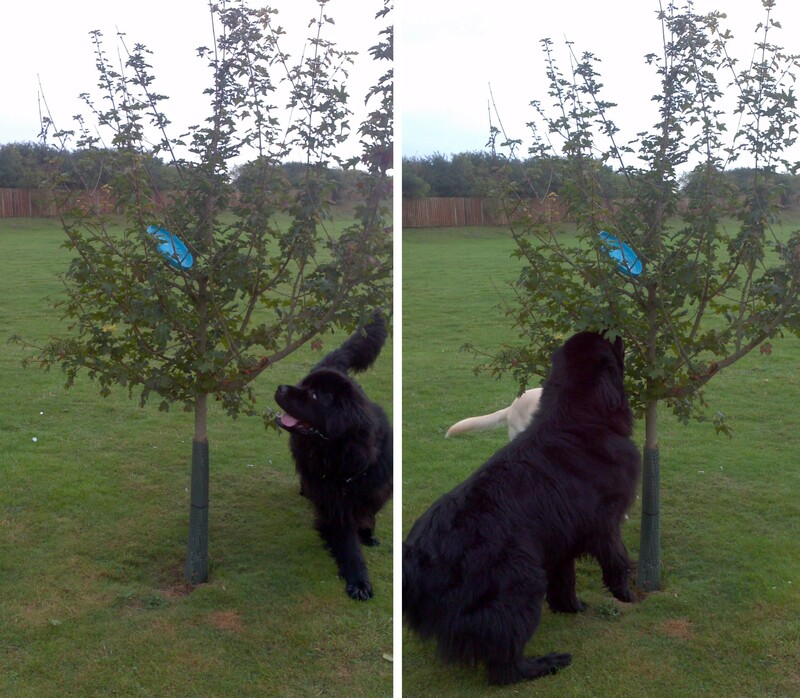 Having big dogs, which like to play rough together, it is not so easy to find a perfect toy for them. Most of them do not make it through the first week and then off we go again to the market/shop/pet store for something new. It bothers me that the quality of most dogs’ toys is so poor. 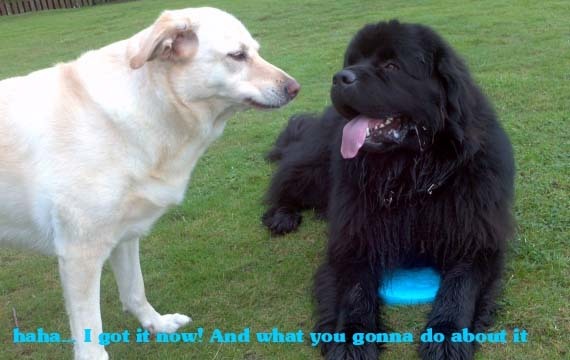 I don’t think that Bunk and Lilly are especially rough whilst playing. It’s not that they chew them, the traditional death of a dog toy, as they are play toys for the walk time they are normally left in the boot of the car, but all too soon the toys just fall apart on us. Collarways were very kind and they sent us a selection of dog toys for testing. Collarways are wholesalers of high quality products for cats and dogs. They focus on well designed, well made and functional pet products which are safe to use for both owners and animals. Most of their suppliers are small US companies but they also feature some products developed in the UK. Currently they are the exclusive importers of Lupine®, Tuffy’s®, Wacky Walk’r, Katie’s Bumpers, Advanced Cetyl M®, Happytails Canine Spa, My Good Dog, West Paw Design® and Wetnoz®. I asked the lovely Gabriela from Collarways for something that will be “indestructible” knowing that toys like this don’t really exist, but I just wanted to make sure that whatever we get will survive at least a few play sessions. One of the toys received was a Zogoflex Zisc from West Paws Design, which we have been using for the last 2 months and it is still in one piece. So let’s have a closer look at it. 100% recyclable – this I cannot confirm but there is no reason why we shouldn’t believe it or why this isn’t true. I like the fact that West Paws Design recycles; even their packaging is printed on 100% recycled paper with soy based inks… so big plus for looking after the environment. Buoyant – yes, it does float! This is another huge plus for us as both Bunk and Lilly love the water and we let them go swimming as often as we can. Having a toy which can be used both in the water and on normal everyday dry land play time is a great idea and a money saver. Gentle for your dogs’ mouth – Lilly is not a young dog. She loves sticks, balls and anything she can find, stick into her mouth and carry back to us… but she also gets bleeding gums from time to time. We need to buy toys which will not hurt her. Zogoflex Zisc is light, it is much lighter toy then other of this size on the market. I am very happy about it because it gives me confidence that Lilly can play with it safely and she will not suffer later from a sore mouth as a result of it. 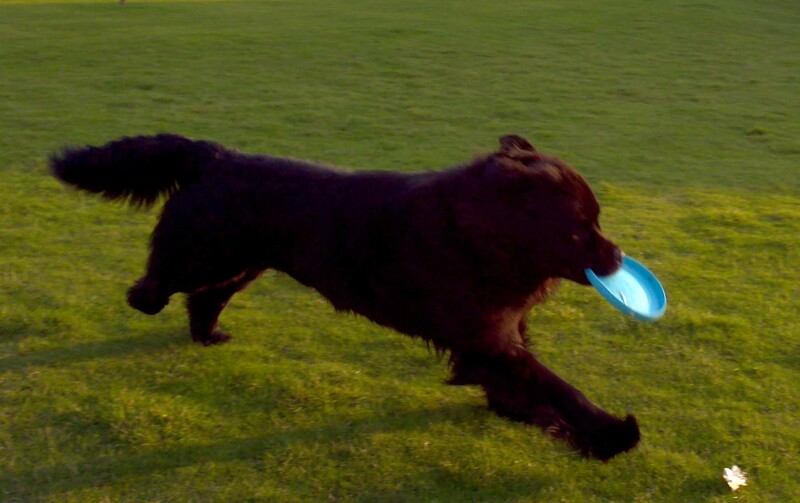 Easy for dogs to pick up – due to the material it is made from (FDA compliant and safe for dogs, non-toxic, BPA and latex free) it bends a lot so it doesn’t really matter which way up or down it will land, dogs can still pick it up without any external help. Pliable – roll it up and go anywhere – again this is due to the material the zisc is made of. It bends, it rolls but it doesn’t split, so yes, you can fold it in half or even into 4 making a small parcel which will fit into your pocket. Though it’s natural elasticity will make it want to spring open again so your pocket may well end up looking an odd shape. Designed to fly with ease – it flies a fair distance; best throw to date would be about 50 meters. 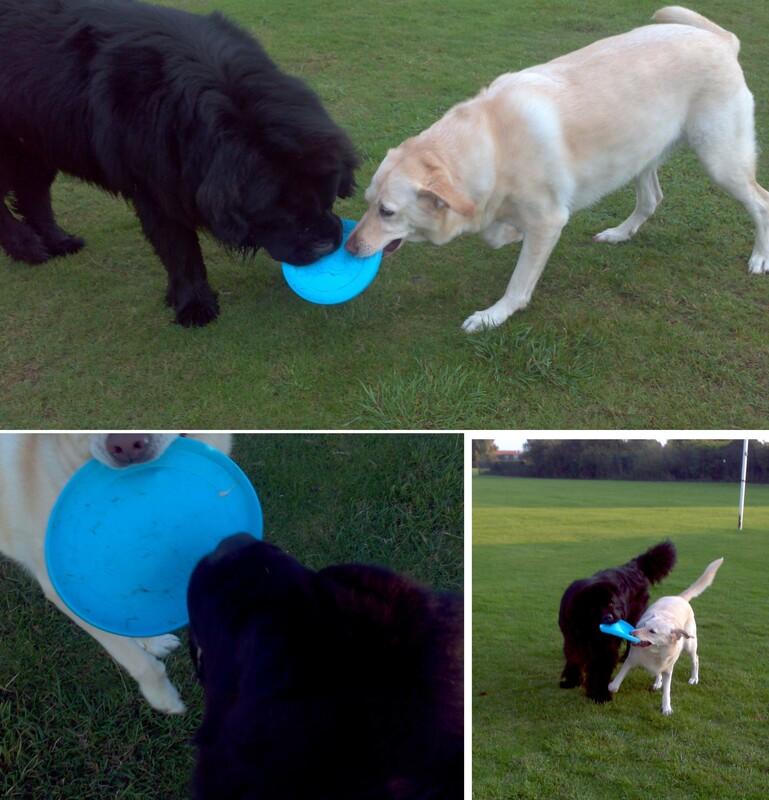 We have played with discs which were going much further but they were often much heavier, which wasn’t so good for Lilly. She prefers the lighter toy, though this does mean that we have to throw it twice as much. To sum it up, the dogs totally love it. 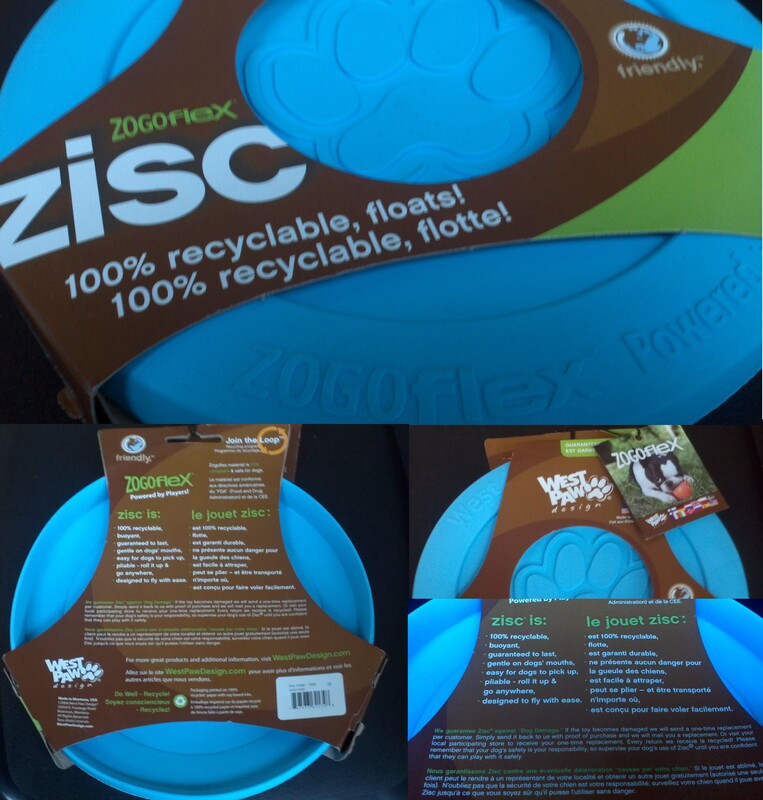 Zogoflex Zisc is approaching the perfect dog toy. 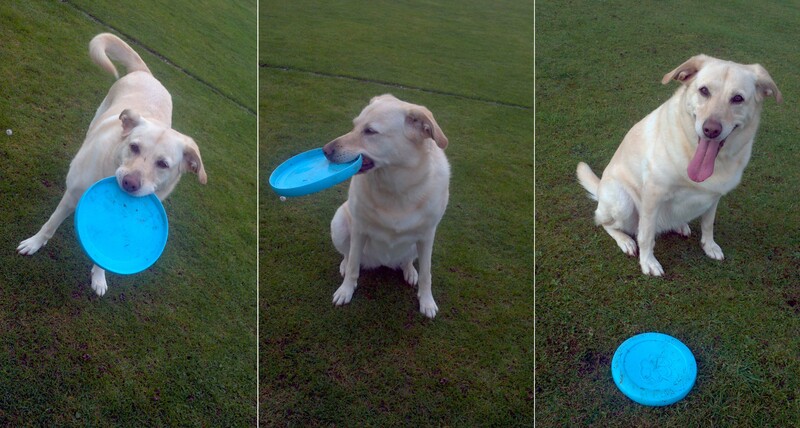 It is perfect for a simple throwing and running after routine – but with a twist as it does not always fly where you want it to fly, so the dogs get a bit confused at times, which is brilliant. With other toys Lilly will sometimes run ahead anticipating the landing spot even before we have thrown it, with Zogoflex Zisc she doesn’t as often as she now knows that it might just as easily go in the opposite direction. It is also great for team play. We do not really allow Bunk and Lilly to play tug of war with it, but sometimes they do… especially when they both try to pick it up at the same time and both want to carry it back… then they will have a fight over it… pull it apart until one of them gives up… Zogoflex Zisc has survived quite a few rounds like this. I… we would highly recommend it to any dog owner out there. It is strong and durable but gentle for the dog itself. If I had to give it a score the Zogoflex Zisc would receive a definite 10/10 and big thumbs up. What’s your dog favourite toy? Did you ever hear about the Zogoflex Zisc? Do you think your four legged friend would like it? I received a selection of three dog toys from Collarways for review purposes. All opinions expressed in this review are honest and my own. #BuzzMyPets – How influential is your pet? They look so happy running around and playing with this! 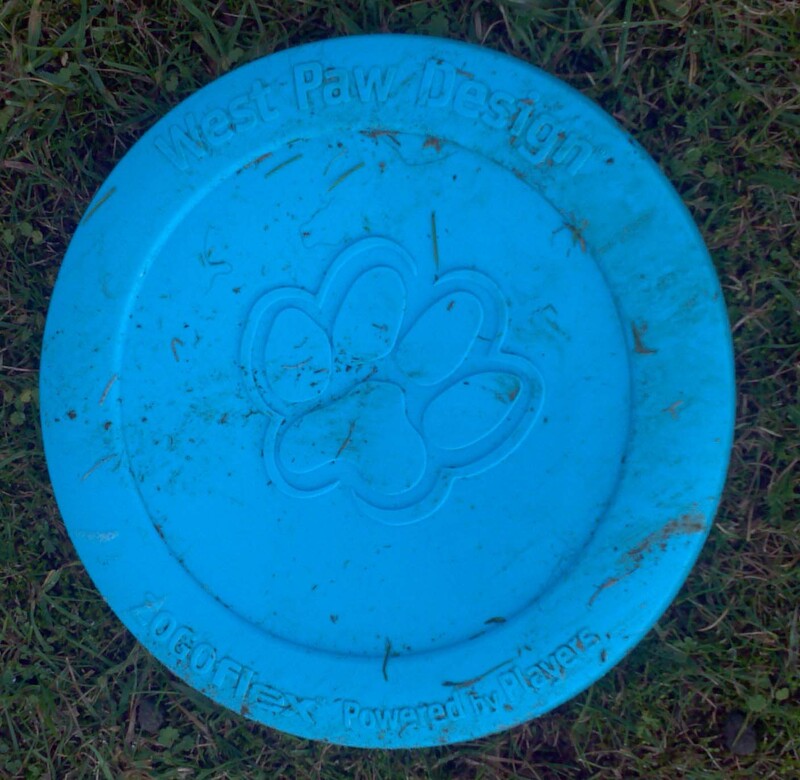 Hendrix loves frisbees at the park. I will definitely have to check this out, think he will love it! This looks like a lot of fun and I like that it looks like it will hold up well. What beautiful dogs! My in laws have two huge dogs and they destroy almost every toy they get! I’ll have to tel them about this! I bet their dogs would love it! Aww! How cute! The doggies look so happy!